Paragon Software Group released two Mojave-optimized drivers — NTFS for Mac and APFS for Windows for early adopters working on Mac and Windows systems. Is ReFS really covered by Windows OS? ReFS 101 for Forensics. Since the release of Mac OS X 10.11 El Capitan, Paragon Software Сustomer Service have received over a 1000 requests concerning the verify/repair/format disk utility options, which disappeared from the Disk Utility in OS X 10.11 El Capitan. To address this issue, we integrated the functionality directly to NTFS for Mac Preference Pane. 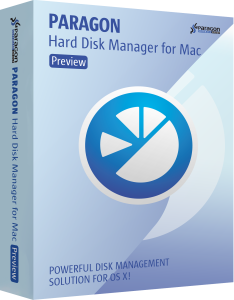 Additionally we have recently released a new professional maintenance tool, Paragon Hard Disk Manager for Mac, to help you perform these basic and numerous advanced file system and volume partitioning operations. If you are in need of such a solution, you can try Paragon HDM for Mac now. However, in this article we going to show you how to format, verify and repair NTFS volumes with built-in partitioning tools in NTFS for Mac 14 under Mac OS X 10.11 El Capitan. The El Capitan version of Disk Utility has been through major changes — both cosmetically and under the hood. Once you get used to the glossy new user interface, veteran users might notice Disk Utility no longer manages disks mounted by third-party drivers, at least not through the program’s graphical user interface. The reasons for the change don’t make a whole lot of sense to outsiders, especially when disks mounted by non-native drivers can still be mounted, formatted, or repaired by using the command-line diskutil. In addition to the under the hood changes outlined above, the familiar NTFS for Mac preferences pane has been overhauled with version 14. Since Disk Utility can no longer be used to work with Windows-formatted volumes, NTFS for Mac 14 now includes built-in format, verify, and mount functionality. In addition to Windows NTFS, other file systems supported by OS X can also be used with this preference pane — for example, if Paragon’s ExtFS for Mac driver is already installed on the same system, NTFS for Mac will also be able to format, verify, or mount Linux-native Ext2/3/4 disks as well. In order to verify or format your NTFS or ExtFS volumes with Paragon drivers, you need to launch the app Preference Pane, select a volume and click “Verify” or “Erase”, depending on what operation you need. 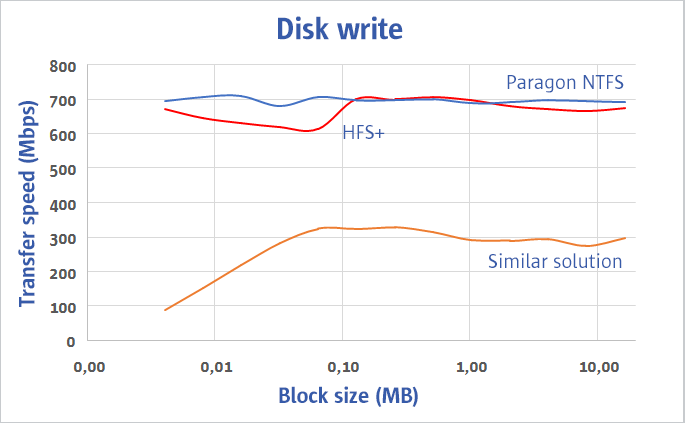 fsck_ufsd_NTFS finds and repairs errors on NTFS disks. newfs_ufsd_NTFS formats a volume to NTFS. mount_ufsd_NTFS mounts or unmounts NTFS disks. Support of the Windows NT file system is automatically added to the command-line diskutil during installation of the NTFS for Mac driver. In case you quite often need not only to verify and format NTFS volumes, but perform more advanced tasks, such as move, resize, copy or even undelete partitions formatted to HFS+, NTFS, ExtFS, FAT and exFAT, try the new Paragon Hard Disk Manager for Mac. HDM for Mac is not just for backup — it’s a powerful application that covers all aspects of the computer’s life cycle, including drive partitioning, file system optimization and repair functions, data backup capabilities, and irreversible data wiping. It already works with macOS Sierra 10.12 Preview. We frequently talk about recent security threats, including the new Trojan horse called “Locky” that encrypts your information forever, making it impossible to read. Unfortunately, Locky is not the only virus that can cause problems for your operating system. There are many other types of viruses which can silently infiltrate a computer without you even noticing it. One of the most common and easiest ways of accessing your system is through an external flash or a hard drive. There are a number of software solutions to help prevent such infection, as well as a radical and 100 percent secure hardware method. You can protect your USB ports from an unauthorized access for a short period of time simply by disabling the ports. All that you need is Notepad and an administrator-level account. Save the file in the desired location and name it usboff.reg. Be sure to save it with the .reg extension and not .txt, or this trick will not work. Now repeat the process, changing only two parts: in the line ”Start”=dword:00000004 change the 4 to a 3 , and then save a new file named usbon.reg. Now when you want to disable the USB port, simply open the usboff.reg file and confirm the change. This will block any external drive plugged into your PC from working. As you might have guessed, opening and confirming the usbon.reg file will do just the opposite, once again enabling the USB port. Assuming you are the only one with administrator-level access to the computer in question, no one will be able to change these files except you. This trick is slightly more complicated than on Windows. OS X 10.11 El Capitan brought with it an additional level of security for your Mac: System Integrity Protection (SIP), which prevents system-related files from modification. Even if you have an administrator-level account, you won’t be able to make changes to these files. Apple’s new protection policy may have good intentions, but it clearly doesn’t help with our mission to disable USB. NB! If you are using a USB keyboard or mouse, please don’t attempt this trick! You won’t be able to use these input devices, requiring an alternate method such as Bluetooth. You can disable SIP by booting into recovery mode. Restart your Mac and hold Command+R as it boots. From the menu, select Utilities > Terminal. In the Terminal window, type csrutil disable, press Enter, then restart your Mac. To reenable SIP, launch Terminal while in Recovery mode, but this time type csrutil enable, then press Enter and restart. 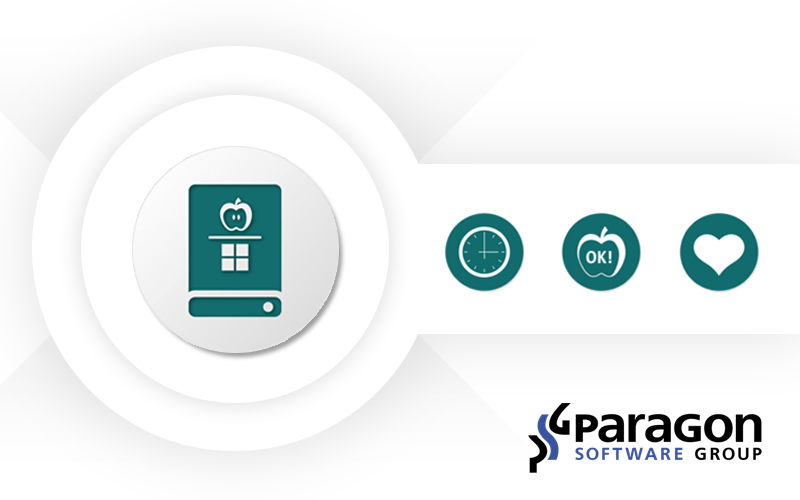 But there’s an easier way – download and install the new Paragon Hard Disk Manager for Mac®, which provides, on top of other useful functions, one-click SIP disable feature. Move these files to the Desktop or other location, but be sure to keep them somewhere safe — you’ll need them to enable your USB ports again! At CeBIT 2016 in Hanover Germany, after review of several thousands submissions, the Initiative Mittelstand awarded the utility application Paragon NTFS for Mac 14 with the Best of IT Innovation 2016 in the category “Data Management.” Impressed by the product’s capabilities, the judges bestowed this special recognition to the popular OS X utility. 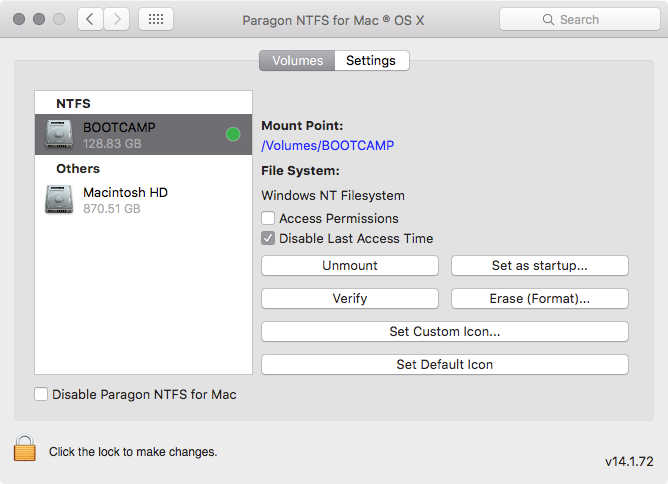 Paragon NTFS for Mac 14 allows anyone to easily access and format Windows NTFS-formatted partitions, even those used to dual-boot Windows on a Mac, simplifying management of Windows-based volumes in OS X 10.11 El Capitan. Paragon NTFS for Mac allows users to check and repair the file system integrity of NTFS partitions via the app’s graphical interface, using its volume management functions, instead of using complicated command line tools, as is required by other utilities of this type. OS X 10.11 El Capitan’s new System Integrity Protection (SIP) feature prevents the use of third-party disk utilities in OS X Disk Utility. Paragon NTFS for Mac overcomes this limitation, simplifying management of such volumes in El Capitan. Users can conveniently use Paragon NTFS for Mac to easily navigate the contents of any NTFS drive, allowing them to read, edit, copy, or create files and folders on the drive. The app provides fast and transparent access to any NTFS partition while running OS X 10.11. OS X El capitan may be more resistant than ever to malicious software, but its arrival means new challenges lie ahead for some third-party developers. OS X El Capitan 10.11 offers serious defense against malware on a number of fronts, most notably System Integrity Protection (SIP for short). SIP removes administrative overrides for processes running in the background and disables root access to /usr, /bin, /sbin, and /System, preventing ANY user or application (with the exception of Mac-native installer software) from writing to those locations or modifying files residing there. In doing so, Apple has for the first time rejected a key Unix principal by limiting the access privileges of a “superuser” (better known as root). Traditionally, users with administrator privileges could install software and generally access any part of the root-level system they so desire, while regular users had more limited access. It should be noted that Apple has provided power users with a workaround to temporarily disable SIP, simply by booting into the Recovery partition and selecting Utilities > Security Configuration from the menu. Next, uncheck Enforce System Integrity Protection, click Apply Configuration, and restart for the change to take effect. However, it’s clear that SIP is the way forward, so developers and end users will need to adapt accordingly. The El Capitan version of Disk Utility has also been through major changes — both cosmetically and under the hood. Once you get used to the glossy new user interface, veteran users might notice Apple has entirely removed the option to repair disk permissions. That’s because Apple no longer allows permissions to change in any way, with the exception of an automatic repair run during software updates. But that’s not all: Disk Utility no longer manages disks mounted by third-party drivers, at least not through the program’s graphical user interface. The reasons for the change don’t make a whole lot of sense to outsiders, especially when disks mounted by non-native drivers can still be mounted, formatted, or repaired by using the command-line diskutil. An additional security improvement removes the possibility of using unsigned kernel extensions (kexts) which modify the core of OS X. Starting with El Capitan, developers must sign kexts with a valid Apple certificate in order for them to continue working. This means perfectly good drivers for discontinued products or expensive hardware could suddenly become unusable after upgrading to the new OS — with no easy or reliable downgrade available! By adopting such changes, Apple aims to make OS X a more user-friendly and secure platform similar to iOS, which powers the company’s popular iPhone, iPad, and iPod touch products. Although this move will surely benefit average users and protect them from the ever-increasing threat of malicious software, the additional layers of security temporarily complicate matters for advanced power users and Mac developers whose livelihood depends upon OS X. If you already purchase most of your software from the Mac App Store, chances are you’ll never notice (or care) about the under-the-hood changes Apple has implemented with OS X El Capitan. But there are plenty of third-party developers who will be affected, especially those who offer software outside of Apple’s walled garden ecosystem. The makers of popular utility software like Default Folder X have already discovered solutions to work around El Capitan’s new challenges, which required a complete overhaul of the existing application in order to implement. 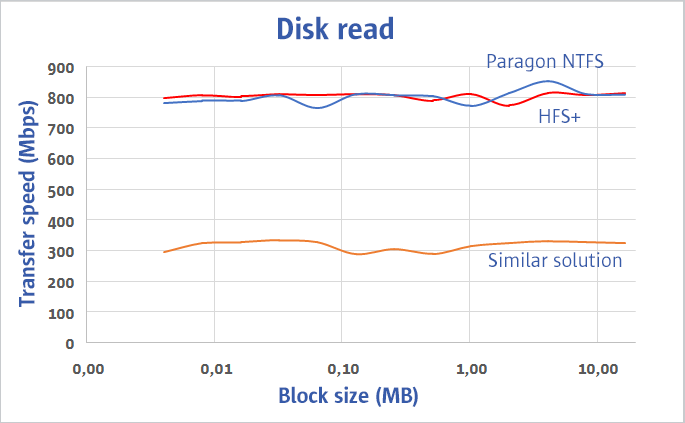 Paragon Software faced a similar challenge with NTFS for Mac, which adds the ability to write to Windows-formatted volumes, which can’t natively be done with OS X alone. Like many other developers, Paragon products have traditionally stored application components in the very places El Capitan no longer permits. For example, the NTFS for Mac driver would be installed in /System/Library/Filesystems, while auxiliary command-line utilities were located in /usr/sbin. Because of SIP, NTFS for Mac 14 and higher now place this driver in /Library/Filesystems, relocating associated utilities to /usr/local/sbin/, where root still has full privileges. It’s not only a reasonable alternative, but also remains proper Unix etiquette. Likewise, the NTFS for Mac 14 driver is properly signed as a kernel extension, making it a required update for owners of earlier versions prior to upgrading to El Capitan. fsck_ufsd_NTFS formats a volume to NTFS. Finally, support of the Windows NT file system is automatically added to the command-line diskutil during installation of the NTFS for Mac driver. 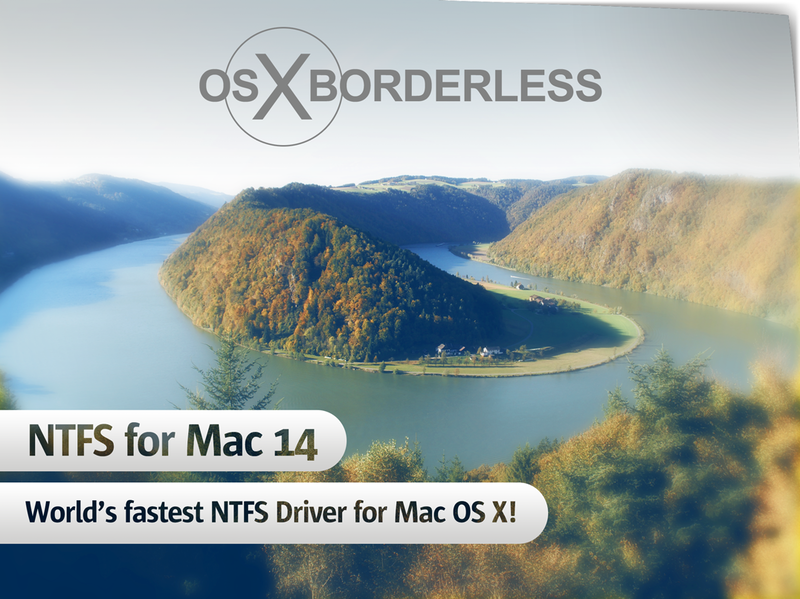 Download and try NTFS for Mac 14 for free! The more storage space a mobile device has, the more expensive it costs. With Paragon’s USB plugin, you won’t need to spend more on storage space. Instead, just use an inexpensive portable storage device connected to your Android device using the USB OTG cable — the same way you already do it with your desktop computer or laptop. There’s no longer a need to replace your Android device when all you need is more storage space. Your boss or client uses an iPhone, but it’s too hard to transfer a presentation from your Android device. 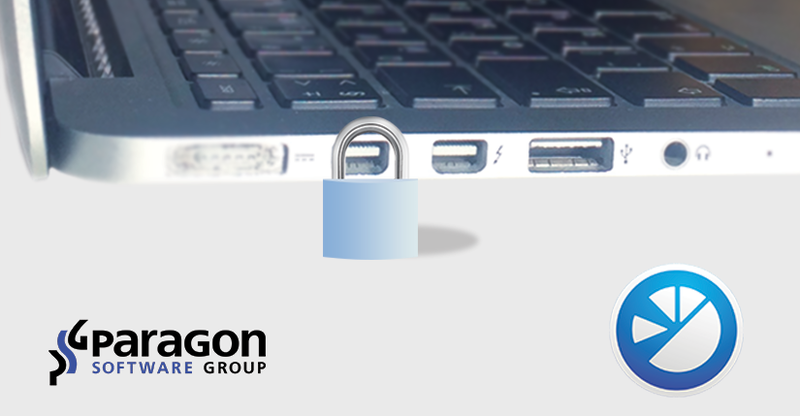 Paragon’s USB plugin supports multiple partitioning schemes and file systems, including NTFS, HFS+, and FAT32. You do not need to stay online all the time to work with data. Cloud storage is not yet the best way to share or work with multimedia and other common data. Even if you were in Antarctica, you can make data transfers between any device without mobile internet or Wi-Fi by using any SD card or USB Mass Storage Device you prefer. 2016 will see an explosion of 4K and 8K video content, creating new storage demands for the video creation industry and tech-savvy consumers. Filming in 4K takes up about seven times more data than 1080p, so what’s the best solution for storing all of this data? You can simply use portable storage devices as a data bank, connected to your Android device using a USB OTG cable and Paragon’s USB plugin. Android does not yet natively support NTFS read/write capabilities (read more above). Most SD cards/pen drives arrive formatted as FAT32. Average users who prefer not to root their Android smartphones can now add NTFS support to Android from the Total Commander app and USB plugin developed by Paragon. Enjoy non-root communications! Download and install Total Commander for Android, install Paragon USB plugin, connect NTFS, FAT32 or HFS+ formatted disks or other storage devices via USB OTG and enjoy instant, high-speed access. The updated version comes with a redesigned user interface, and allows owners of the free edition to also work with Boot Camp. 2GB can now be reallocated between OS X and Windows absolutely free, particularly convenient for urgent, last-minute changes to available disk space. The new interface design is more intuitive and user-friendly. The apps supports OS X 10.6 Snow Leopard to OS X 10.11 El Capitan. Download yourself and try now! The new SDK expands the possibilities for system management and security software vendors working in UEFI environments. The technology allows system vendors and motherboard manufacturers to make their UEFI systems more competitive and user-friendly. Introduced by Intel in 2005 as a replacement for the aging MBR (Master Boot Record) and PC BIOS (Basic Input/Output System) interfaces, UEFI now comes standard on new computers, where it is positioned between the operating system and firmware stacks. Despite advantages over traditional BIOS and MBR, UEFI is technically limited by its support for FAT32 (File Allocation Table), an outdated file system, which restricts file sizes to less than four gigabytes. In an effort to address this problem, motherboard manufacturers have started to implement read-only NTFS support into their UEFI firmware — but this only solves half of the problem. 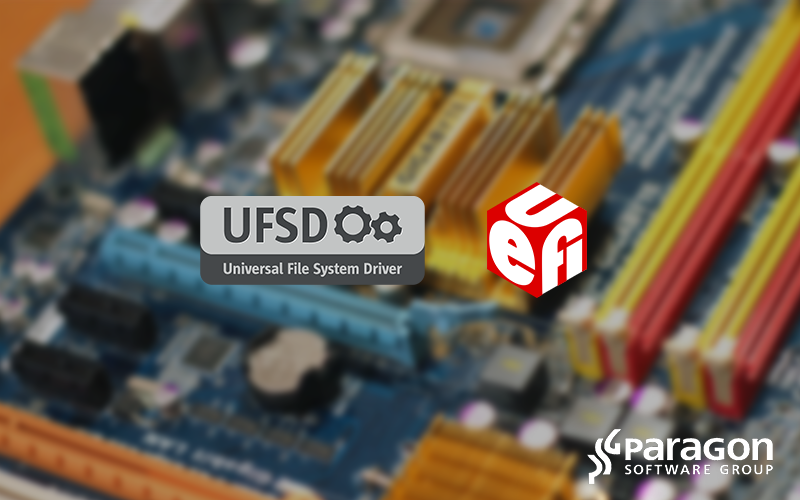 With the release of UFSD SDK for UEFI, Paragon Software now delivers a complete read/write solution. Based upon the company’s industry-proven, cross-platform Universal File System Driver library used around the world in billions of devices such as smartphones, tablets, routers, networked storage, and cameras, the new SDK opens transparent, full read/write support for Windows-native NTFS, Linux-native ExtFS, and other file systems in the UEFI pre-boot environment. Paragon NTFS for Mac is the world’s fastest application, achieving speeds of native drivers, with OS X El Capitan support. 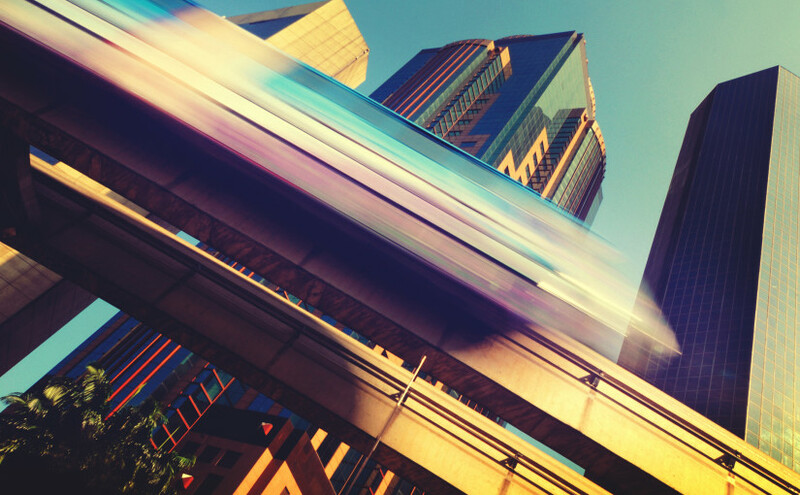 Our internal tests have proven: Paragon NTFS file system driver is the fastest one on the market! The native HFS+ driver has approximately the same read performance as Paragon NTFS for Mac. Please, visit product web-site for detailed comparison reports. Because of SIP, NTFS for Mac 14 and higher now place this driver in /Library/Filesystems, relocating associated utilities to /usr/local/sbin/, where root still has full privileges. It’s not only a reasonable alternative, but also remains proper Unix etiquette. Likewise, the NTFS for Mac 14 driver properly signed as a kernel extension, making it a required update for owners of earlier versions prior to upgrading to El Capitan. 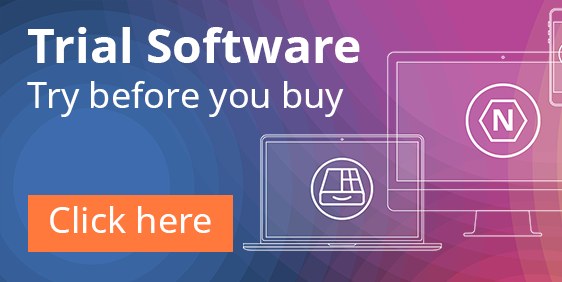 If you have already purchased NTFS for Mac 12 or earlier versions, please, check your personal upgrade offer here. As Disk Utility can no longer be used with Windows-formatted volumes, ‘NTFS for Mac 14’ offers built-in “mount” functionality. Launch the updated preferences pane of Paragon NTFS for Mac 14 and use the NTFS volume mount functionality as before with the OS X proprietary disk utility. For advanced users support of the Windows NT file system automatically added to the command-line diskutil during installation of the NTFS for Mac driver. So you can use the the “mount_ufsd_NTFS” command to perform mounting or unmounting of NTFS partitions. Now it is possible to format Windows NTFS files to Mac & from Mac to Windows. Format NTFS utility formats any partition as NTFS under Mac OS X 10.8 and higher. Access this feature from NTFS for Mac 14 preference pane or command line with the “fsck_ufsd_NTFS” command. Another feature of OS X disk utility, that disappeared in EL Capitan, is to check NTFS volumes integrity and fix errors. It is also available on Paragon NTFS for Mac preference pane or via the “fsck_ufsd_NTFS” command in the terminal. You can take advantage of full commercial product features to make sure that Paragon NTFS for Mac 14 provides the best experience and highest data transfer speed for you. In case of any problems, our team of top-qualified and friendly support engineers will help you out. Ask your question on MyParagon portal or visit our Knowledge Base for a quick reference. Documentation is also always available online. We highly appreciate our customers and try to provide you with the best experience possible. To keep you satisfied and up-to-date, we introduced a special update policy for all Paragon NTFS for Mac product version. Particularly, users, who bought a full commercial Paragon NTFS for Mac 12 are eligible to get Paragon NTFS for Mac 14 free of charge. You can check It here. Those, who received versions 12 as a free upgrade from NTFS for Mac 11 can get a special 50% off upgrade offer in their personal MyParagon accounts. Users of earlier versions of Paragon NTFS for Mac can get the latest version with 30% discount. On OS X, traditional backup archives are created at the file level by Apple’s built-in Time Machine and other third-party software that work in a similar fashion. Paragon Snapshot for Mac OS X is the only technology that allows users to create block-level archives of OS X volumes. Recovery from images made with Paragon Snapshot for Mac OS X are up to four times faster than restoring from existing Time Machine backups. Compared to file-level backups, the software also provides a higher compression rate for archived files. Among other advantages, Paragon Snapshot for Mac works 100 percent online while OS X is running, requiring no system restart or reboot. With this Snapshot technology in place, incremental backups will be smaller, because the block-level imaging stores only the blocks that have changed. Once integrated, Paragon Snapshot will prove invaluable for Mac owners, providing them with an option to elevate and accelerate backup routines. When disaster strikes, Paragon Snapshot for Mac enables hassle-free recovery from snapshot-based backup archives, which is significantly more efficient than recovering from file-level backups. Based upon the company’s industry-proven, cross-platform Universal File System Driver, Paragon Snapshot for Mac OS X supports all popular file systems not natively supported by Mac (e.g., Windows NTFS or Linux ExtFS), thus assuring the safest data imaging and integrity. Paragon Software provides flexible licensing packages for independent software developers as well as large disaster recovery solution vendors. Special for users of earlier OS X version: Try our full-functional Paragon NTFS for Mac Yosemite Free! Despite its name, this multilingual product supports all OS X versions up to OS X 10.6 Snow Leopard! Paragon NTFS for Mac eliminates boundaries between Mac and Windows operating systems, delivering full read and write support for NTFS-formatted drives on OS X. Paragon NTFS for Mac achieves the speed of native drivers and is the industry’s fastest solution for Mac users who want to share data between Mac and Windows systems, so that the user doesn’t even notice on which platform their files are. 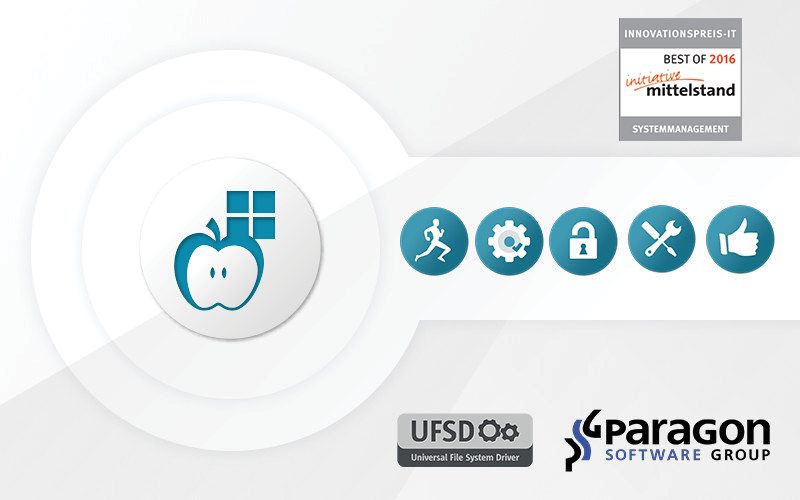 Paragon NTFS for Mac Yosemite Free is based on Paragon’s proprietary Universal File System Driver (UFSD) technology. Paragon UFSD provides full access (read/write, format, etc.) to volumes of the most popular file systems under all popular platforms (Mac, Windows, Linux, Android and DOS). 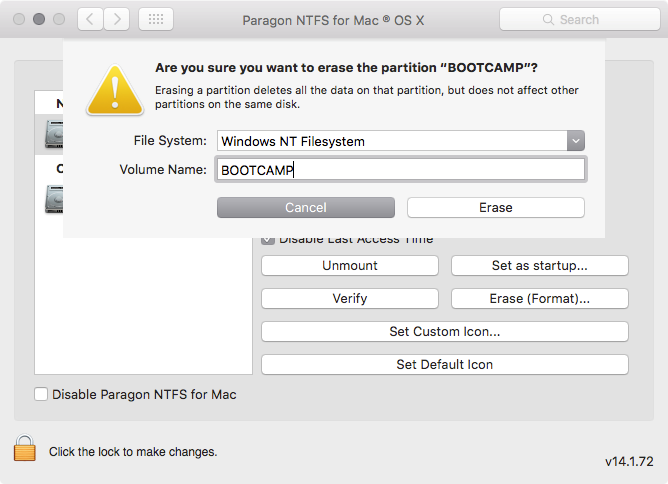 Paragon NTFS for Mac Yosemite Free is available for download absolutely free of charge! For Mac users of El Capitan, the commercial 14th version is available at $19.99. For other Mac products, please visit Mac ToolBox Portal. Posted on November 19, 2015 Author IT SupportCategories File System Drivers, Mac ToolBox, NTFS for Mac, UncategorizedTags apple, mac, mac os x, ntfs, paragon_softwareLeave a comment on Special for users of earlier OS X version: Try our full-functional Paragon NTFS for Mac Yosemite Free!